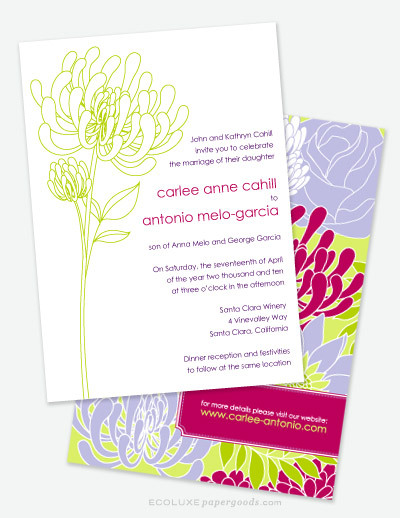 Another way to help plan a successful green wedding is to have environmentally friendly paper. Ecoluxe Paper Goods has stationary made out of 100% tree free and recycled paper. They even have an option to double side print to avoid an extra card. Their designs are beautiful, too!